Send us a Selfie with our “Transform” Quilt! Home » News » Send us a Selfie with our “Transform” Quilt! We’ve recently gotten some exciting news, and want to spread around the love! 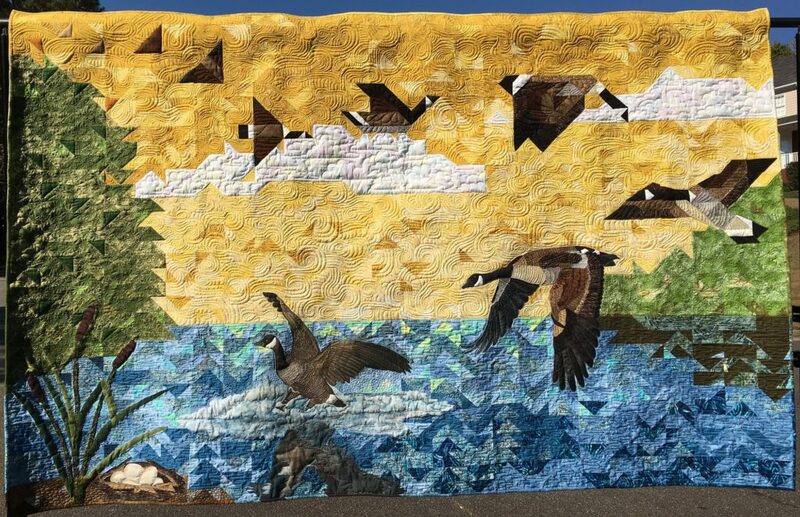 The quilt that we’ve created with two other talented quilters, “Transform”, has been accepted to a number of quilt shows. We’d love it if you see our quilt in a show, you take a selfie with our quilt and email it to us at info at TheStitchTVShow dot com, and share it on your favorite social media and tag our show handle, @TheStitchTVShow, and use the hashtag #TheStitchTVShow! For photos we’re emailed, we’ll include them in an upcoming episode of The Stitch! We may have others to add to this list, so stay tuned! Love that quilt, so happy it will be traveling around. I saw it in the wild….. at Lancaster!